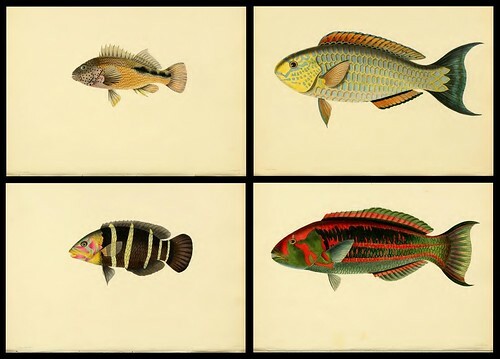 'A Selection from the most Remarkable and Interesting of the Fishes Found on the Coast of Ceylon from Drawings made in the Southern Part of that Island from the Living Specimens by John Whitchurch Bennett, 2nd Ed. 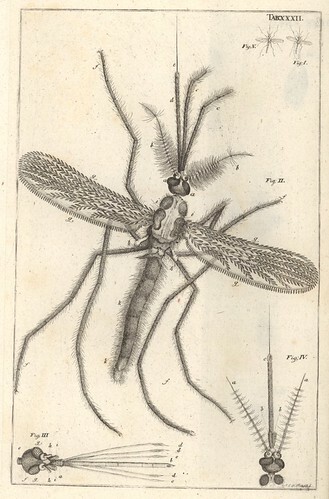 1834'. 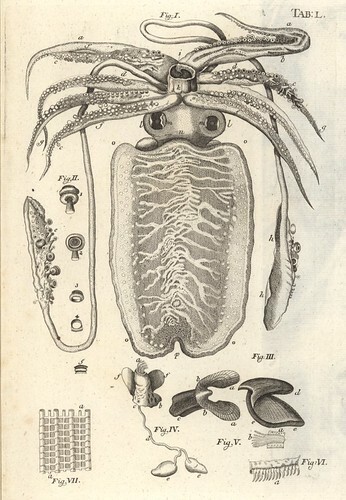 'An Account of Indian Serpents, collected on the Coast of Coromandel' by Patrick Russell, 1796. 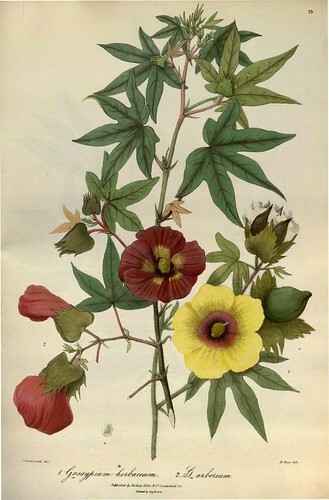 Russell was the botanist to the East India Company in Madras (Chennai). 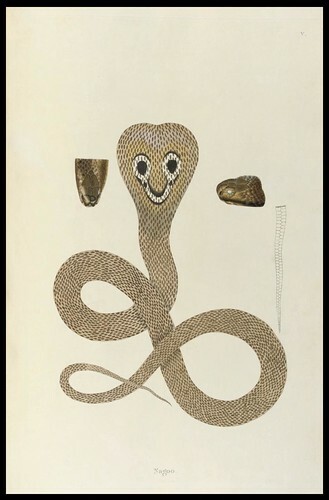 This is apparently the first book devoted to Indian snakes. 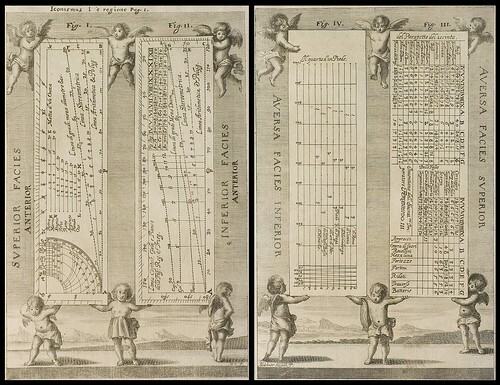 The image, spliced together from screencaps, comes from somewhere in the Books, Manuscripts & Maps category at Christies (inadvertently following from a comment by Michael some weeks ago). 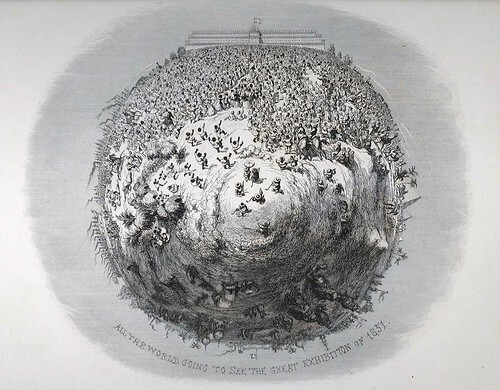 'All the World Going to See the Great Exhibition of 1851' by George Cruikshank. 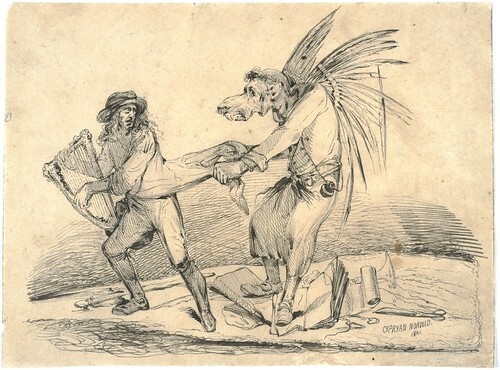 "This image first appeared in Henry Mayhew’s 1851 or The Adventures of Mr. and Mrs. Sandboys and Family, Who Came Up to London to ‘Enjoy Themselves,’ and to See the Great Exhibition (London: David Bogue, )." 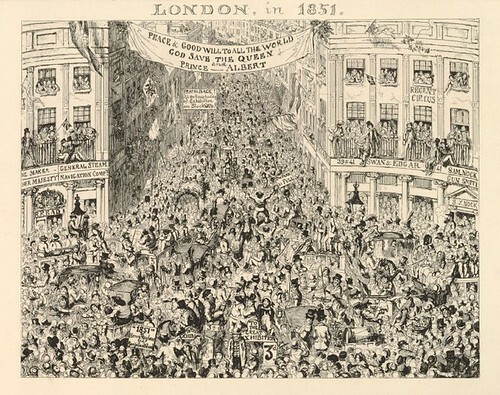 'London in 1851' by George Cruikshank. 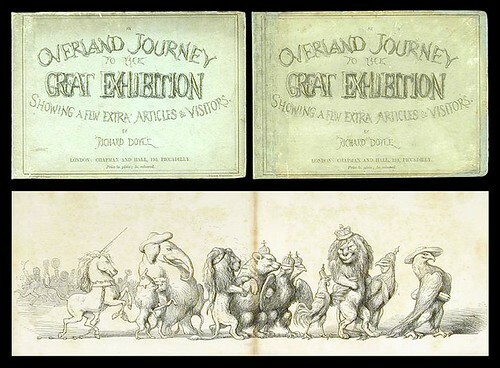 'An Overland Journey to the Great Exhibition. Showing a Few Extra Articles & Visitors' by (at one time) Punch Magazine illustrator, Richard Doyle. 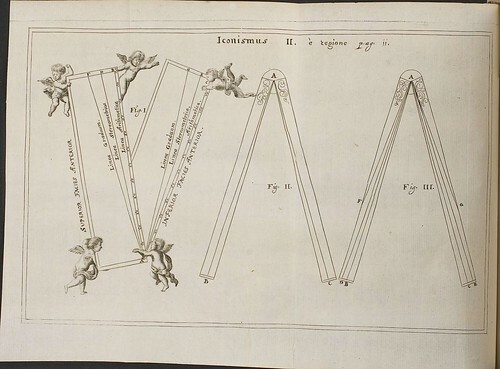 The book contains no text and the satirical parade of humans and animals on their way to Crystal Palace measured nine feet in length when all of the illustrations were joined together. 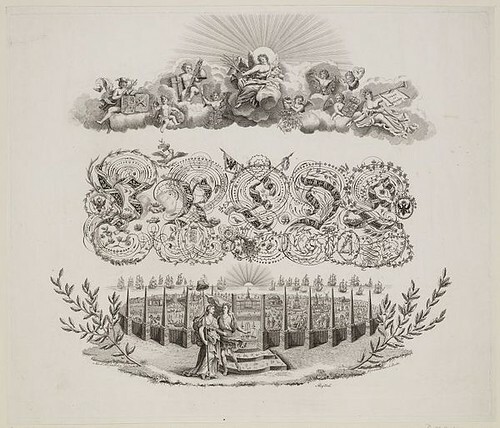 The composite image is from PBA Galleries and the second illustration comes from the Great Exhibition Humorous Asides page at Kansas University's Spencer Library. 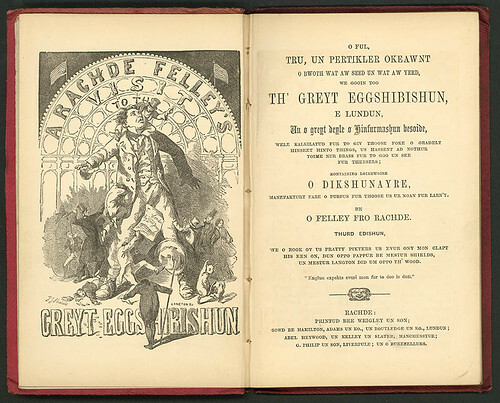 'O Ful, Tru, un Pertikler Okeaawnt o bwoth wat aw seed un wat aw yerd, we gooin too Th' Greyt Eggshibishun, e Lundun, an a greyt deyle of Hinfurmashun besoide' by Oliver Ormerod (penned under his Rochdale, Lancashire pseudonym, Felley from Rachde). 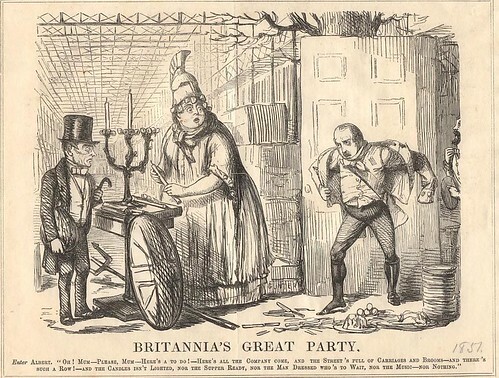 The prompt that made me look around for some satirical prints on the Great Exhibition of 1851 was receiving a (requested) copy of the catalogue (available online) from Melbourne's Monash University Library exhibition (until August 31) - Fifty Books for Fifty Years. "This is an exhibition of fifty books chosen by Monash academics and researchers.[..] The fifty participants have chosen items they have consulted in the course of their work. The result is a fascinating variety of books, many of which have never been displayed." If not for the thousand-or-so kilometres, I would definitely go. Speaking of Melbourne, Sophie Cunningham is a publisher, journalist, writer and current editor of Meanjin, an Australian literary and culture magazine established more than sixty years ago. 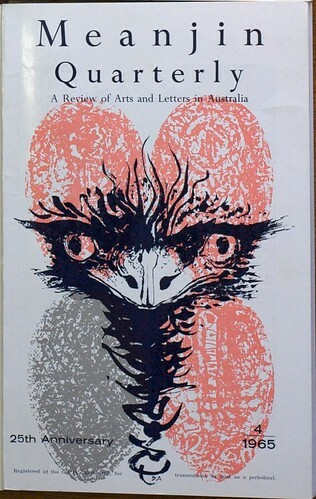 Sophie has posted a set of photographs of Meanjin covers to Flickr. 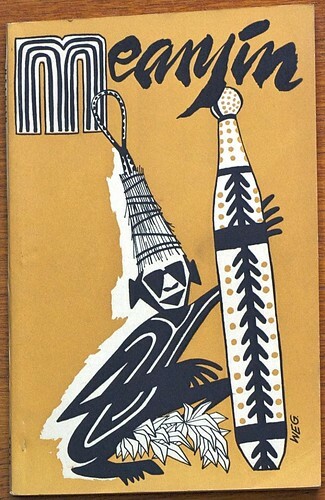 Both the stylised Aboriginal figure in ceremonial* attire and emu head cover illustrations above remain under copyright and have been posted here with permission. 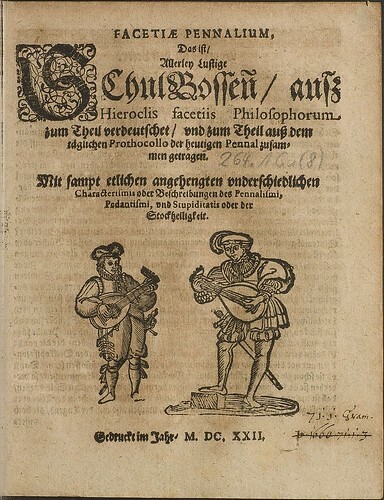 Titlepage from 'Facetiae Pennalium', 1622, by Julius Zincgref from HAB. I know nothing about this book although I suspect it is philosophical in nature. Somewhere around I have a couple of links to emblemata books by him which might materialise here in the future. 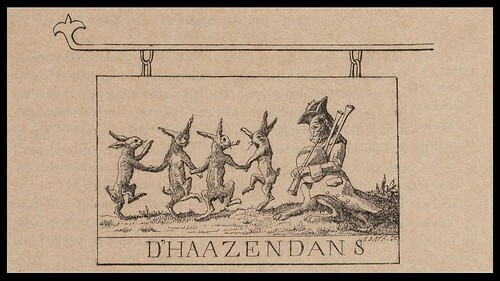 'D'Haazendans' engraved by FW Zürcher, 1868. 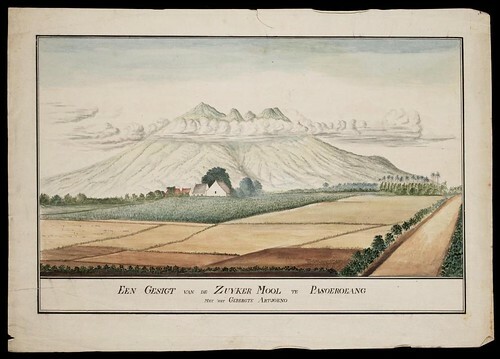 'De Muizenvreugd' engraved by FW Zürcher, 1868. This chromolithograph world map [spliced together from two sections] was made by Konrad Miller in 1896 and is a reproduction of a mappamundi produced in Hanover (I think) in 1300. Although the largest version doesn't quite magnify all the details, it nevertheless remains an interesting map. Note that Christ's head, hands and feet mark the vertical and horizontal axes. The digital version is hosted by MDZ. Now, as I'm posting this entry, I've found a decent write up at the Henry Davis site. 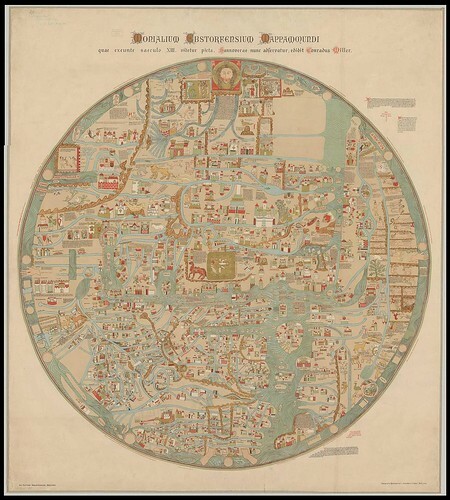 They advise that the map - the German equivalent of the 'Hereford Mappamundi' - is known as the 'Ebstorf Mappamundi' (image) and was produced in 1234 by Gervase of Tilbury. This lithograph, with it's unusual scalloped vignettes, was produced by Joseph Vürtheim sometime between 1843 and 1875. The print imagery seems to imply that village fair recreation will lead to death and despair. The image was spliced from screencaps from the Amsterdam Archive Image Bank. 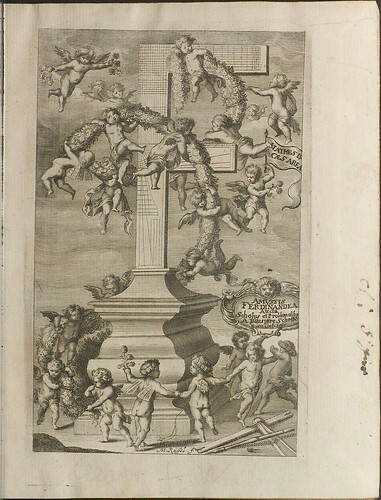 I jagged these odd engravings from 'Mathesis Caesarea' (1662) just because the idea of adding putti (cupids) to an otherwise rather dry reworking of Albert von Curtz's 'Amussis Fernandea' by Gaspar Schott (the book being about mathematics, geometry and military architecture) seems amusingly incongruous. The book is online at HAB. 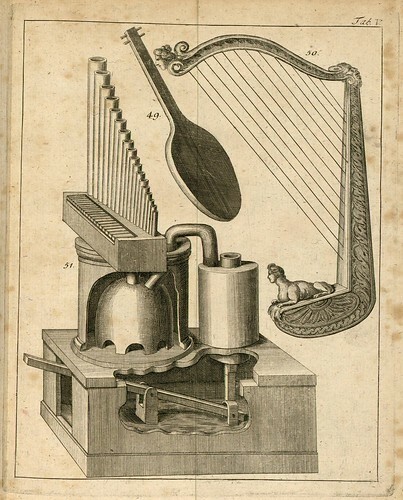 [Schott was assistant to Athanasius Kircher] See: Polybiblio. 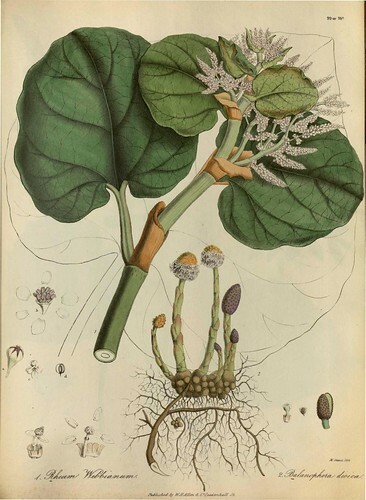 These plates (extracted from a .pdf) come from the beautiful book, 'Illustrations of the Botany and other Branches of the Natural History of the Himalayan Mountains and of the Flora of Cashmere' by J. Forbes Royle, 1839. 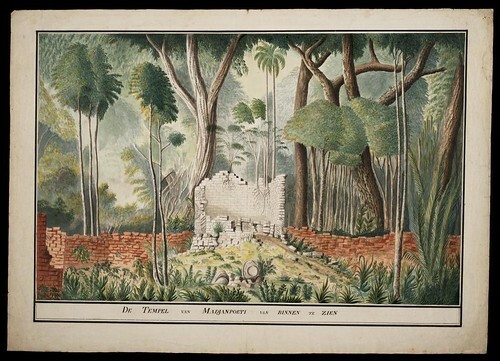 The book was digitised by Missouri Botanical Gardens and is available through the Biodiversity Heritage Library. 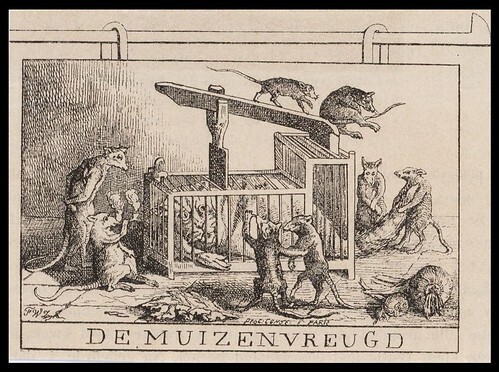 'Allegorie op de Vrede' (Allegory of Peace) is by A. Zürcher 1814 (not sure if there's any relationship to the engraver of the rabbits and mice satires up above). 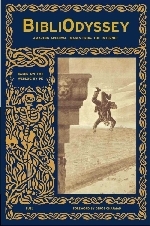 The main image is fairly small but I managed to cobble together a fair sized detail of the spectacular ornamental typography from screen caps. This image comes from the Amsterdam Archive Image Bank and is definitely worth seeing in high resolution snippets within the constraints of the flash magnification box at the site. Many, but not all, of the above images have been spot or background cleaned as the mood took me. As usual, click through the images to flickr and then click 'All Sizes' for larger format versions. The title of this entry - Multiplicity in Time and Space - was a phrase I first heard used years ago by a physician describing the unique profile of symptoms associated with Multiple Sclerosis (the syndrome erratically affects various parts of the body for varying amounts of time). There is no intended reference here to MS at all, but I've always thought it was an elegant turn of phrase and adequately describes the eclectic array of images above: produced by many people at different times in history and obtained from a range of sources. It was also the first thing that came into my head today when I was trying to summons forth a title. More links? Try the bookmarks. Vous nous avez vraiment gâtè aujourd'hui ! Thank you . 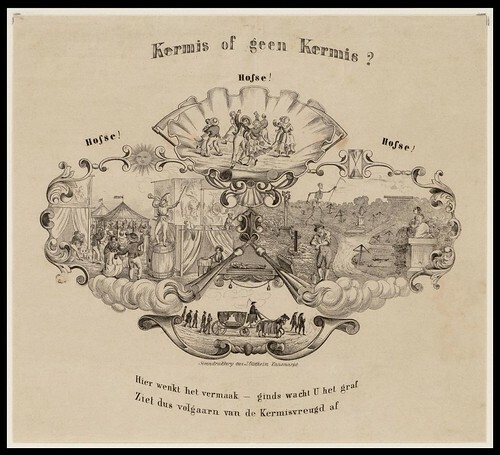 yes, "kermis of geen kermis" means "village fair or not". It literally means "village fair or no village fair", and the rhyme below the picture means "here entertainment is beckoning/ over there the grave will await you/kindly abstain from the joy of the fair". 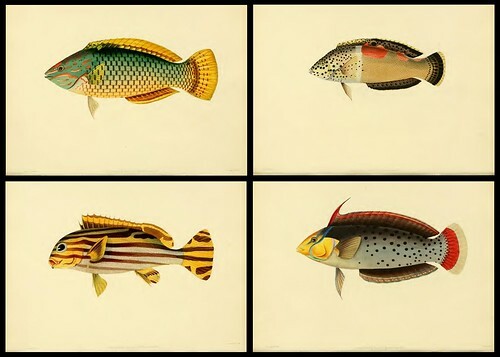 The engravings of the fish are spectacular. Thank you! 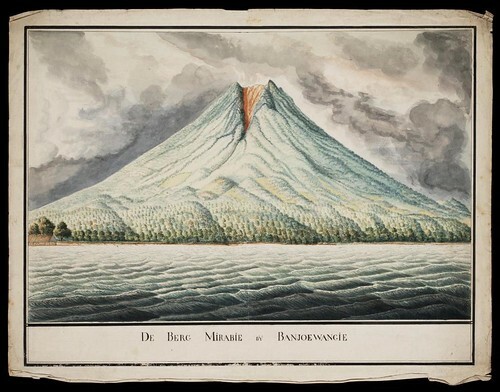 The maps and drawings in the imagebank of the Dutch National Archives are from the period that the Dutch East India Company was active, roughly between 1600 and 1815. 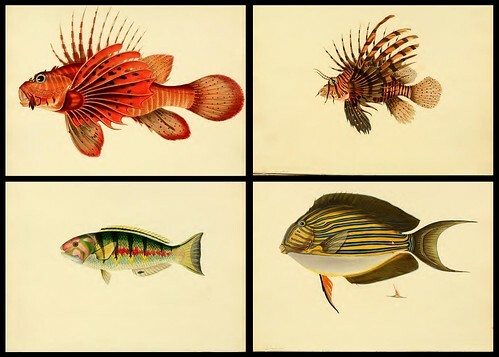 The first three images shown above, from the collection Engelhardt, date from the end of the 18th century. 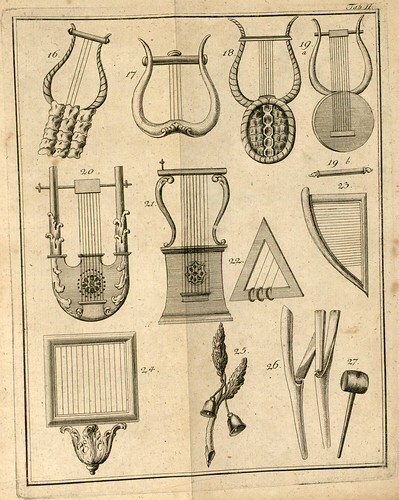 The fourth image is mid 17th century. 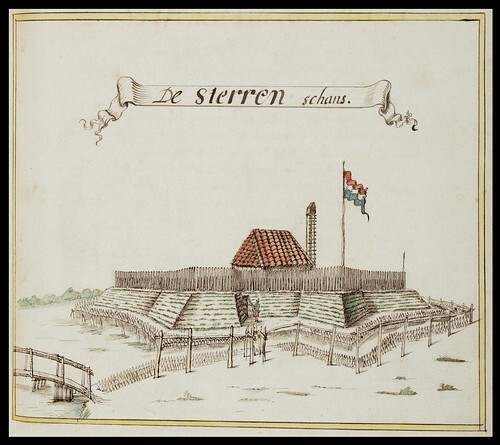 The images in our imagebank under 'VOC kaarten' have been digitized for the ongoing series 'Comprehensive Atlas of the Dutch United East India Company'; seven atlasses in all of which the first two have been published at this moment. Parts 3 and 4 will follow this fall. For more information on the atlasses see the website of the publisher. I just want to say thank you and keep up the fantastic, thought provoking, and inspiring content! Bravo! Thanks very much for the background information Gijs: I've adjusted the commentary above. It's certainly a great collection and I'll be sure to keep an eye out for the further material. This latter book contains 171 fantastic mezzotint plates. Keep up the good work, Peacay! thank you for your blog! it's really interesting, and an infinite source of inspiration. It would be great if you can publish some of them, and link back to us. Not sure what you're trying to link to there Mario but those collections at la Biblioteca Digital Hispánica are great. peacay, thanks for being so perspicacious. It's 2008. I'm correting.